Use TB2QA8T to reference this item. 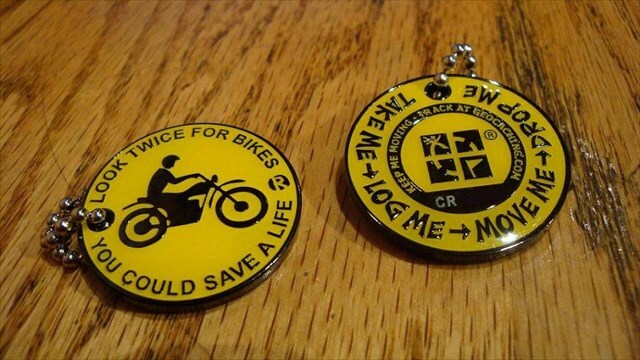 My mission is to spur conversations about Bike Safety, and the relationship between Bikes and other Vehicles. This Coin can be Discovered if you see it but more importantly, try to sink that phrase into your mind and put it into practice while you drive. Look Twice GeoCoin in WRITE SHOP ROBERT'S Pocket. If you see me on the Trail or at an Event, ask me about this Coin and about Todie's Wild Ride. Discovered at Seattle Geocoinfest 2018! Discovered it back at the Geocoinfest. Thank you for sharing. Discovered these today! Thanks for sharing. Discovered at the poker event. Discovered at the Poker Event! Spotted this in WSR hands today as I stopped to do a couple munzee and saw the car TB and got caught taking a photo of that one. 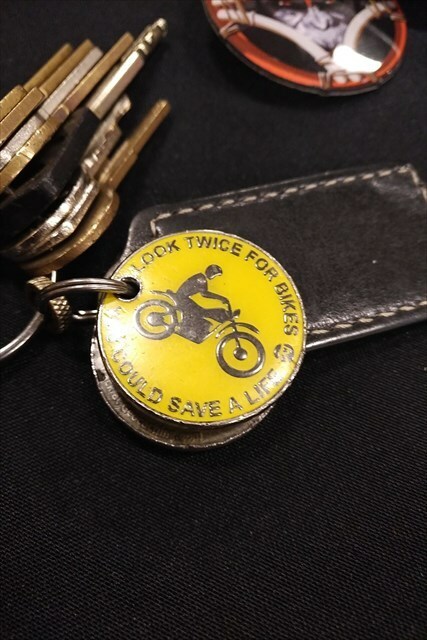 Discovered on the owners keychain.